Are you a VAR that wants to scale up its international business volume and at the same time increase profitablility? 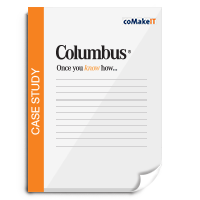 Read in this case how Columbus has done exactly that with the help of coMakeIT. Gain insights into how software offshoring solved challenges faced by Columbus. Know how partnering with the appropriate offshore development partner can give you the required edge. Know the services that were customized for Columbus to meet their unique offshoring requirements. Understand how on partnering with coMakeIT, you will retain complete ownership of the developmental activities. © Copyright 2019. coMakeIT | All Rights Reserved.